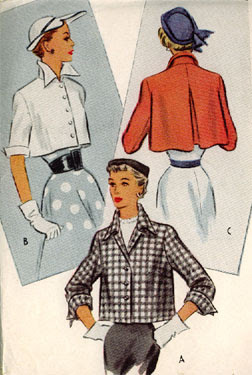 Patterns from the Past: Boleros - cool or ugly? 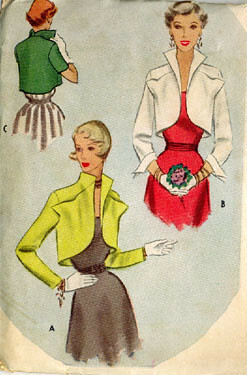 Boleros - cool or ugly? We have all seen Jennifer Hudson on the red carpet. Here is my nomination for a Better Bolero. Both of these jackets have a nice line to them. With the top one having a cool collar. Both straight out of the 1950s. They would go great with a Marilyn Monroe like halter dress like the one below. Are these really that far off from something you might wear today? 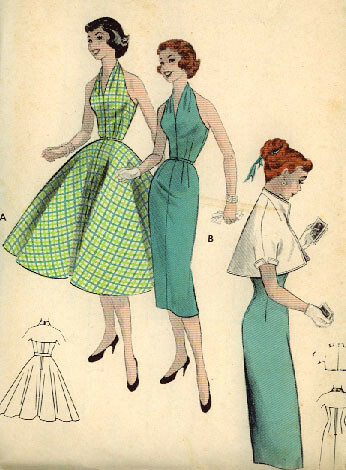 To find these patterns and many more - check out Patterns from the Past.